The Course M-2 Race Jersey is engineered for extreme performance, without compromising on comfort. Advanced, aerodynamically-optimised fabrics combine with superb moisture wicking capabilities – for a streamlined fit that will keep you comfortable and dry. 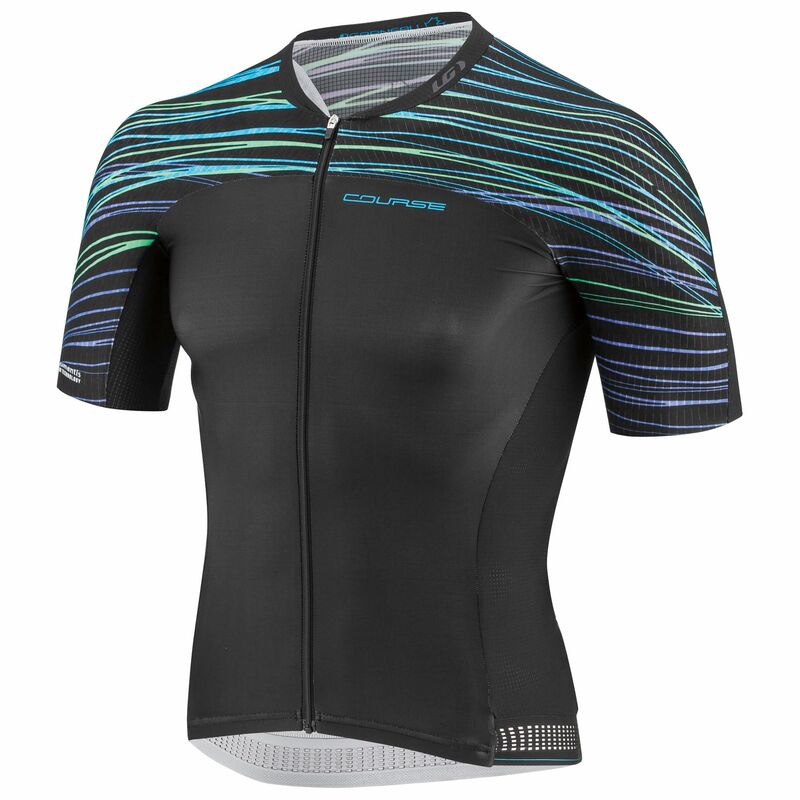 Developed with the summer cyclist in mind, coldblack® technology effectively blocks the build-up of heat generated by UV rays, allowing for superb temperature control – even on dark-coloured gear. Aero sleeves and a laser-finished hem on the arms ensure minimal wind resistance – marginal gains for shaving seconds from your personal best. Moisture-blocking material used on the interior of the pocket will protect your devices from sweat build-up, while all three rear pockets are unsecured at the bottom – designed to boost ventilation and avoid tension, even when you’re fully loaded. The full-length front zipper features a comfort trim, to prevent irritation of the skin when you’re going all out. Reflective inserts give enhanced visibility for added safety when riding at night, while the super-light perforated gripper on the rear hem prevents the jersey from shifting in place.